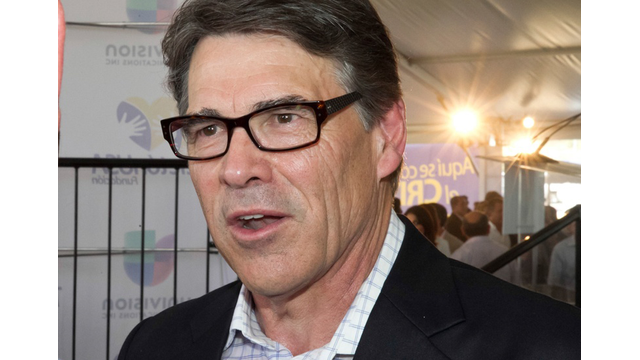 "We don’t settle political differences with indictments in this country," Perry said in a short press conference. "It is outrageous that some would use partisan political theatrics to rip away at the very fabric of our state’s constitution. This indictment amounts to nothing more than abuse of power and I cannot and I will not allow that to happen." "I intend to fight against those who would erode our state’s constitution and laws purely for political purposes and I intend to win," he said. "I’ll explore every legal avenue to expedite this matter. I am confident that we will ultimately prevail, that this farce of a prosecution will be revealed for what it is. And those responsible will be held accountable." Perry said he stood by his decision, citing his lost faith in Lehmberg after her drunken driving arrest. This was someone “who had to be restrained and was abusive to law enforcement,” he said.